Sant Jordi Hostels Lisbon is a chic designer hostel close to Downtown Lisbon. 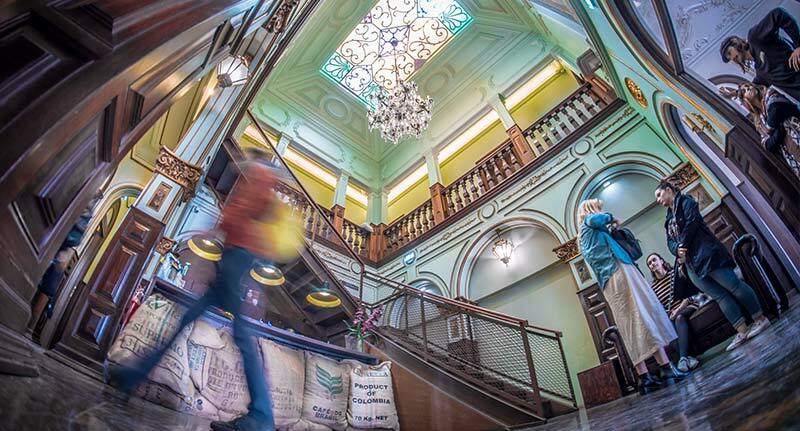 The vintage inspired décor, modern facilities and fun atmosphere combined with our world famous Sant Jordi Hostel service, make this an unforgettable place to stay. We are the hostel for the modern traveller. We attract the hostel enthusiasts that want and know the best. We offer high-end facilities with all the comforts of home. There´s fast WI-fI EVERYWHERE, a large newly renovated guest kitchen, immaculately cleaned bathrooms and spacious bedrooms with comfortable cozy beds. Not to mention the tranquil outside patio in our gorgeous gardens. There´s lots of cool chill spaces, and even an onsite bar! Modern luxury meets timeless style at Sant Jordi Hostels Lisbon. 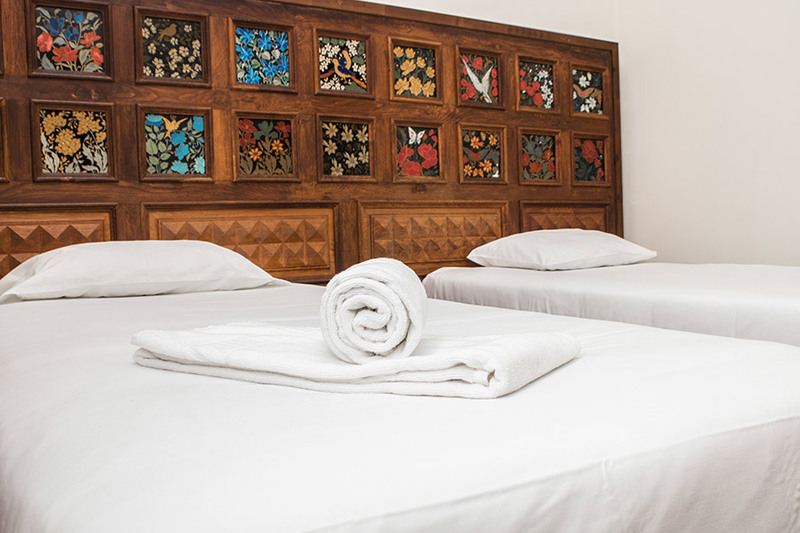 Sant Jordi Hostels Lisbon, is located near the Downtown district of charming Lisbon. Its in a beautifully traditional Portuguese neighborhood, with lots of great restaurants and super markets near by. Taking a tram trip on the vintage time-worn trams is a must do in Lisbon! You´ll find Tram 28 stops right outside of our doors, making it super easy to find our hostel and get around! Sant Jordi Hostels Lisbon is perfect for sightseeing. It´s close to the famous view point Monte Agudo and only 20 minutes walk to the St George Castle! Our closest metro station Anjos is only 5 minutes away. *Reception is open 24 hours. **If your departure is later, you are more than welcome to utilize the common areas of our hostel during that day. We also have free luggage storage! Please note: if you would like to change your arrival time, please send us an e-mail or call us directly. It is important that we are kept aware of any changes to your reservation. A key-card deposit of €5 per person must be paid at the time of check-in. This deposit is required to ensure the successful return of the key-cards that provide access to rooms, common areas, and lockers. The deposit will be refunded at the time of check-out under the condition that the key-card is successfully return to the appropriate reception staff. In the event that a key-card is lost or stolen, or is for any reason not returned in an appropriate manner at the moment of check-out, the €5 deposit will not be refunded. On the day of departure / check-out, guest who are scheduled for departure have until 11:00 am to leave the room. Otherwise, Sant Jordi Hostels reserves the right to charge an additional night at the going rate. If guests would like to leave their luggage – either on the day of check-in, if they arrive before the check-in time, or on the day of check-out, if their travel plans are for later in the day – we provide luggage storage facilities and services free of charge. Additional such guests are welcome to use the common areas of the hostel for up to a maximum of 23 hours after the time of check-out, or before the scheduled check-in. Cancellations are accepted by e-mail only and must be received by us at least 24 hours before the arrival time (check your reservation for the arrival time). To stay at Sant Jordi Hostels, guests under the age of 18 who are traveling alone will have to bring a signed permission slip from a parent or legal guardian, as well as a signed photocopy of the identification documents of signing parent or guardian. 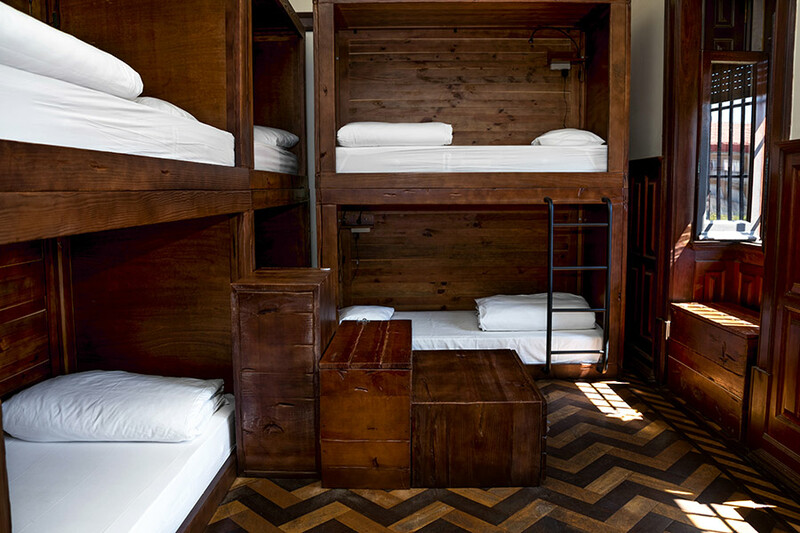 For the comfort of parents and guardians, as well as for that of minors and other guests, for minors from 16 years of age who travel alone, or minors of any age who are accompanied by a parent or guardian, no minor is allowed, under any condition, to share a dormitory with other guests. Therefore, families traveling with minors are required to book an entire dorm room, or reserve a private room. 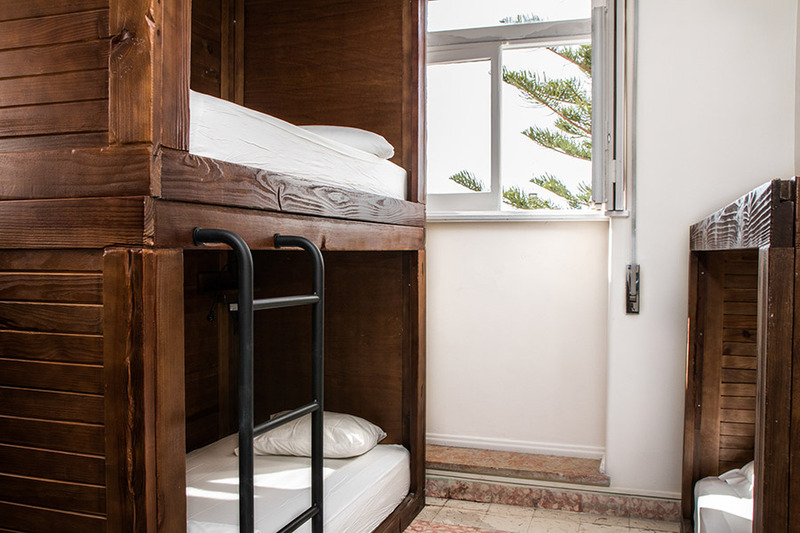 In addition, in the case of reservations of groups of minors, children under 18 years may not share a bedroom with other guests, and therefore are required to reserve dorm-rooms in their entirety, or book individual private rooms. In the event that a hostel guest causes any type of damage to the property, the credit card registered to that guest’s reservation will be charged for the entire cost of repair. In the event that the guest negligently or intentionally causes damage to any machine or appliance available for guest use and for guest enjoyment throughout the duration of his/her stay (ie. Washing machine, dryer, vending machine, hair-dryer, refrigerator, hand-dryer, oven, stove, microwave, television, etc. ), the complete cost of repair – parts and labor – or the price of the entire machine, in the event that it is rendered irreparable, will be charged to the clients registered credit card. In the event that a guest acts in an unacceptable or inappropriate manner or is incapable of peaceful coexistence with other guests or is the cause of complaints from other guests or neighbors, the establishment reserves the right to evict the offending guest, without refund or reimbursement of any kind. We do not assume any responsibility for loss, theft or damage of guest property. We are the a design hostel in the city center of Lisbon. Just because we are a youth hostel, that doesn’t mean that we will be blasting music in the dorms all hours of the night! 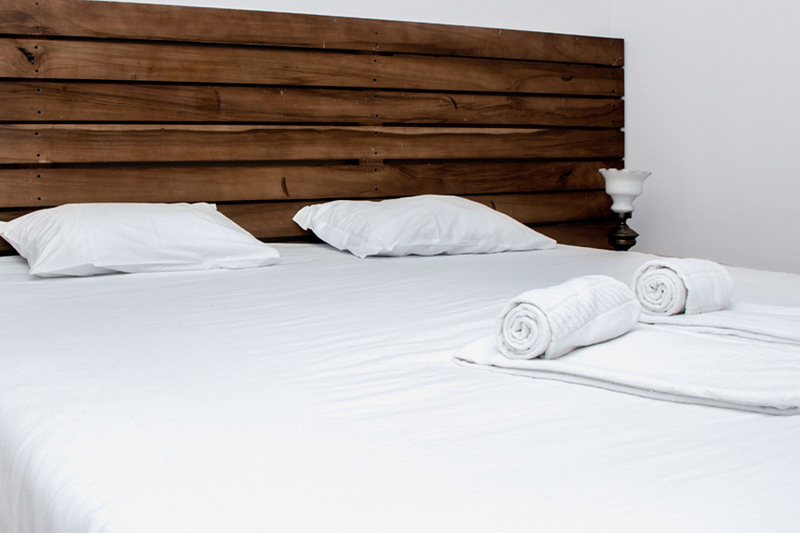 We believe that it is absolutely essential that guests have a quiet, comfortable place to sleep at night. Except where otherwise expressly stated in these conditions, we regret we cannot accept liability or pay any compensation where the performance or prompt performance of our obligations to you is prevented or affected by or you otherwise suffer any damage or loss as a result of “force majeure”. In these Booking Conditions, “force majeure” means any event which we or the Supplier in question could not, even with all due care, foresee or avoid. Such events may include war or threat of war, riot, civil strife, actual or threatened terrorist activity, industrial dispute, natural or nuclear disaster, adverse weather conditions, fire and all similar events outside our control. If you would like to change your arrival time, please send us an e-mail or call us directly. It is important that we are kept aware of any changes to your reservation. 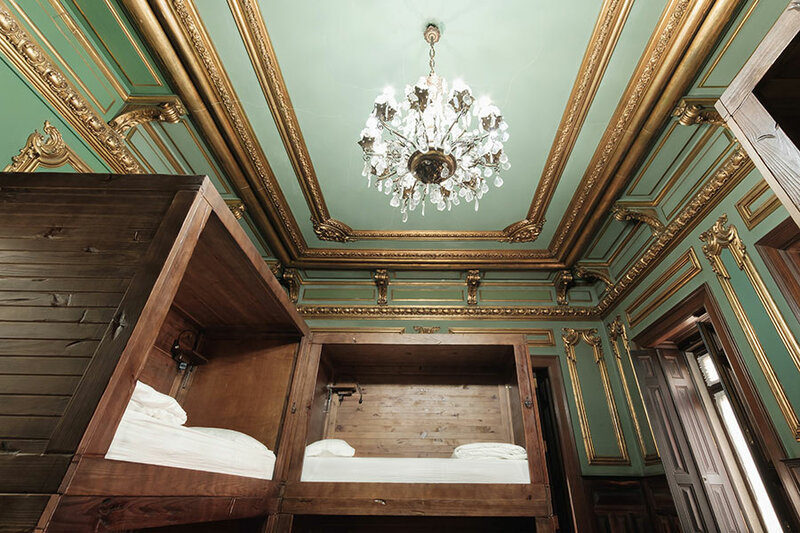 Sant Jordi Hostels Lisbon is a chic designer hostel close to Downtown Lisbon. 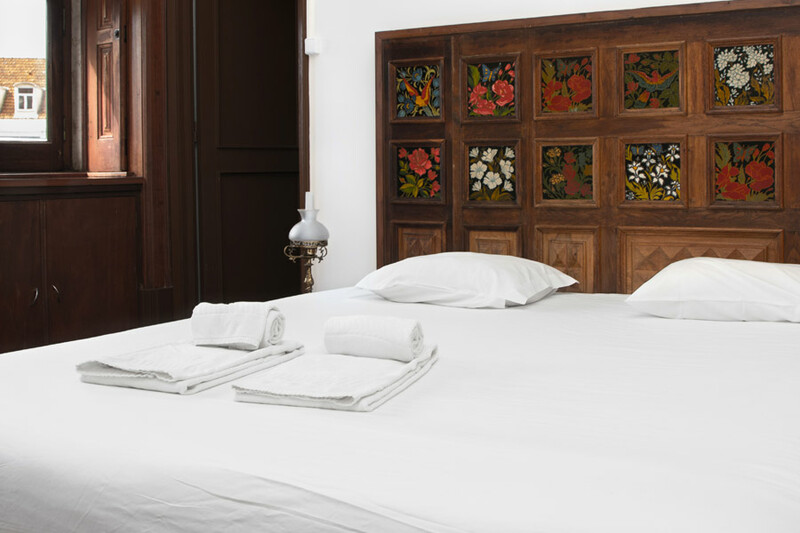 The vintage inspired décor, modern facilities and fun atmosphere combined with our world famous Sant Jordi Hostel service, make this an unforgettable place to stay. 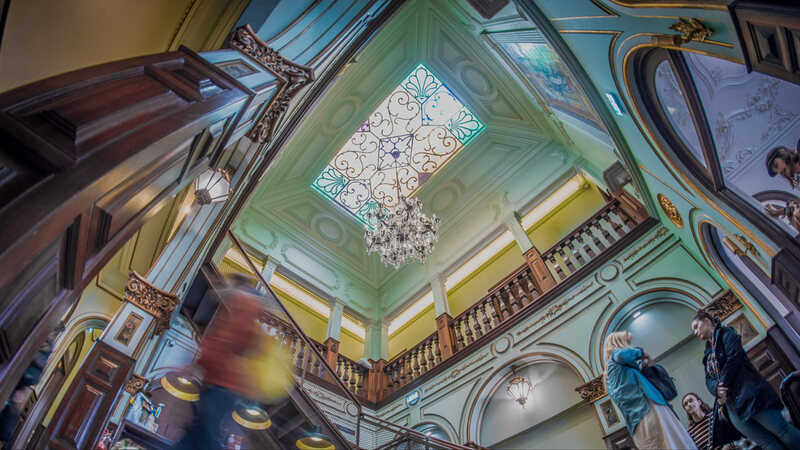 Built in the early 20th century, our epic vintage theme has been inspired by the building itself. trendy and elegant. 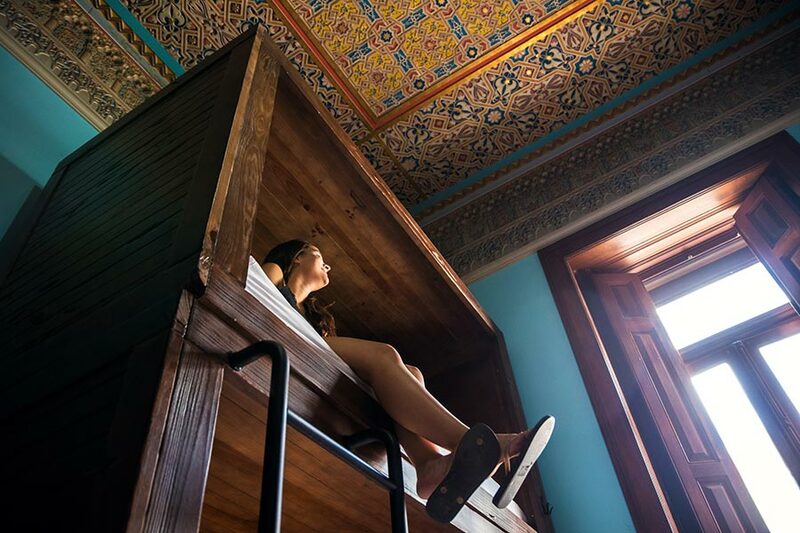 The charming onsite gardens, wooden interior, astonishing ceilings, stained glass windows and glimmering chandeliers give off a regal palace vibe. Bursting with a warm and inviting atmosphere, we´re the place to relax between adventures. Sant Jordi Hostels Lisbon has the most modern facilities of any Lisbon hostel - high quality everything, designed to meet the unique needs of hostel guests. We are the hostel for the modern traveller. We attract hostel enthusiasts that want and know the best. We offer high-end facilities with all the comforts of home. There´s fast WI-fI EVERYWHERE, a large newly renovated guest kitchen, immaculately cleaned bathrooms and spacious bedrooms with comfortable cozy beds. Not to mention the tranquil outside patio in our gorgeous gardens. There´s lots of cool chill spaces, and even an onsite bar! Modern luxury meets timeless style at Sant Jordi Hostels Lisbon. 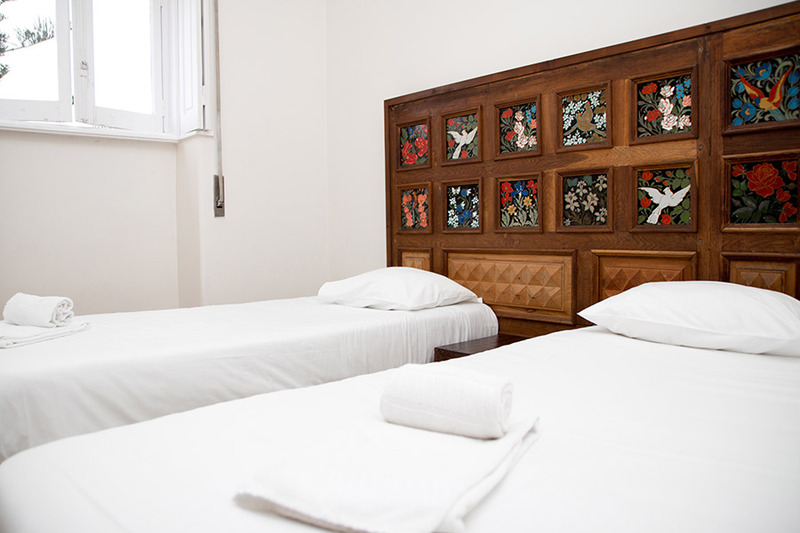 Sant Jordi Hostels Lisbon, is located near the Downtown district of charming Lisbon. It’s in a beautifully traditional Portuguese neighborhood, with lots of great restaurants and super markets near by. Taking a tram trip on the vintage time-worn trams is a must do in Lisbon! You´ll find Tram 28 stops right outside of our doors, making it super easy to find our hostel and get around! Sant Jordi Hostels Lisbon is perfect for sightseeing. It´s close to the famous view point Monte Agudo and only 20 minutes walk to the St George Castle! Our closest metro station Anjos is only 5 minutes away. 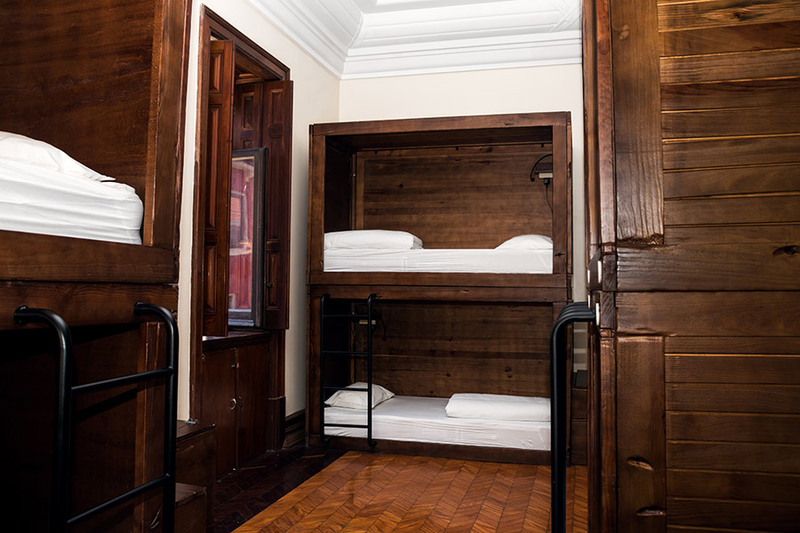 At Sant Jordi Hostels Lisbon, customers have the choice of staying in private double or shared dorm rooms. We also offer ensuite rooms with private bathroom and shower facilities. 1 double bed with individual head-board-cubbies, reading lamp and charging station. 2 twin beds with security lockers, individual head-board-cubbies, reading lamp and charging station. 3 bunk beds, with security lockers, individual head-board cubbies, reading lamp and charging station. 4 bunk beds with security lockers, individual head-board-cubbies, reading lamp and charging station. 5 bunk beds, with security lockers, individual head-board cubbies, reading lamp and charging station. 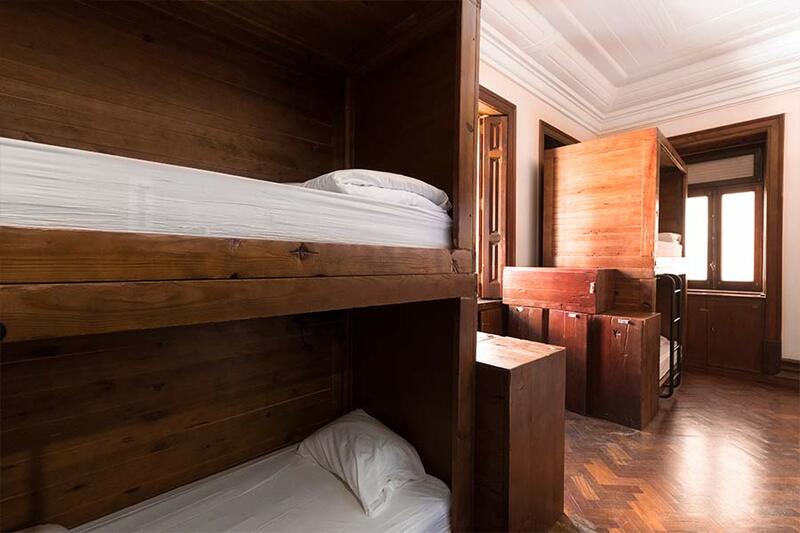 6 bunk beds, with security lockers, individual head-board-cubbies, reading lamp and charging station. 8 bunk beds, with security lockers, individual head-board cubbies, reading lamp and charging station. 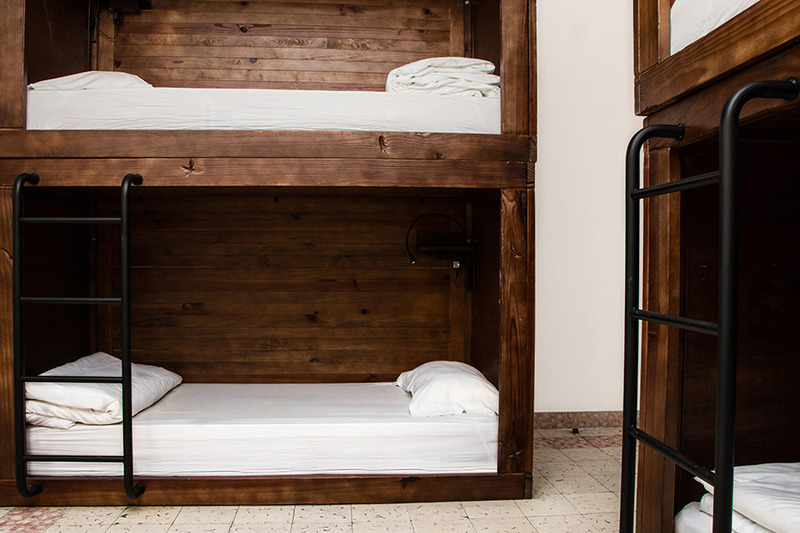 10 bunk beds, with security lockers, individual head-board-cubbies, reading lamp and charging station. 1 double bed,with private toilet and shower facilities, individual head-board-cubbies, reading lamp and charging station. 2 twin beds, with private toilet and shower facilities, security lockers, individual head-board-cubbies, reading lamp and charging station. 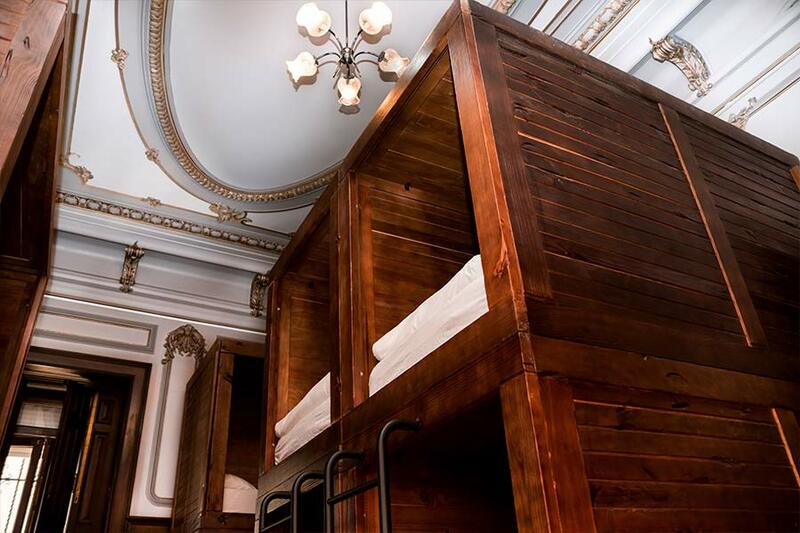 8 bunk beds, with private toilet and shower facilities, security lockers, individual head-board-cubbies, reading lamp and charging station. 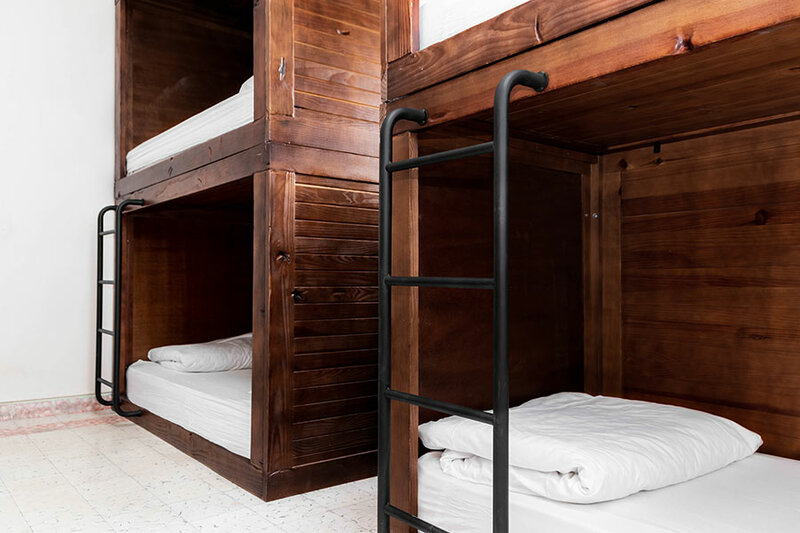 10 bunk beds, with private toilet and shower facilities, security lockers, individual head-board-cubbies, reading lamp and charging station. *The photos provided display the condition and facilities of one of the rooms available for each room type. As we have several rooms of each room type, actual facilities may vary from those shown in the above photos. A key-card deposit of €5 per person must be payed at the time of check-in. This deposit is required to ensure the successful return of the key-cards that provide access to rooms, common areas, and lockers. The deposit will be refunded at the time of check-out under the condition that the key-card is successfully return to the appropriate reception staff. In the event that a key-card is lost or stolen, or is for any reason not returned in an appropriate manner at the moment of check-out, the €5 deposit will not be refunded.